It’s funny how some bands just end up missing the audience they were seemingly destined to have. 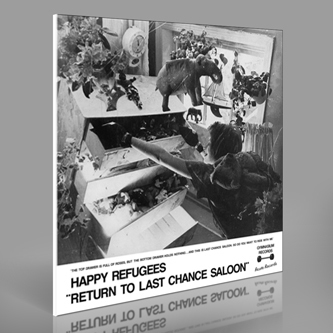 Happy Refugees popped up on the British DIY scene just after Brummie upstarts Swell Maps and just before the whole C86 craze, somehow arriving into limbo, destined to be never more than cult treasures to those lucky enough to have heard the (very few) songs they recorded. Thankfully the kind folks over at Acute have given their records the treatment they deserved bundling their mini LP and single together (with three unreleased tracks no less) and it couldn’t have been any sooner. Apparently Happy Refugees are noted favourites of US revivalists Crystal Stilts and Girls Names, so rather than have to resort to some vapid Megaupload combing, we can now grip the record in its intended form and let the band know that yes, after thirty years, their music does indeed have a place. The band’s odd jumble of The Television Personalities, The Fall and the aforementioned Swell Maps gives them a discordant irreverence that is a breath of fresh air in the current scene. 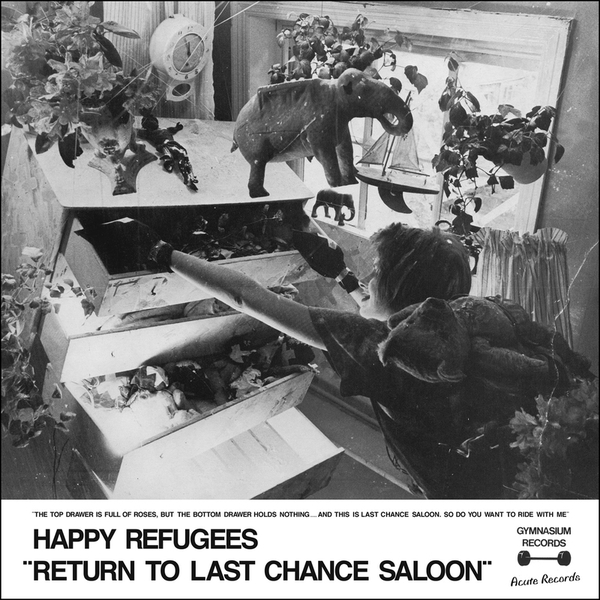 While the songs fit in with the current tape-hiss drenched zeitgeist, there’s something rebellious, angry and defiant about Happy Refugees that gives them an edge over their more trendy contemporaries. Maybe this time around they’ll get the recognition they’ve always deserved.